July is Federal Occupational Health’s UV Safety Month. 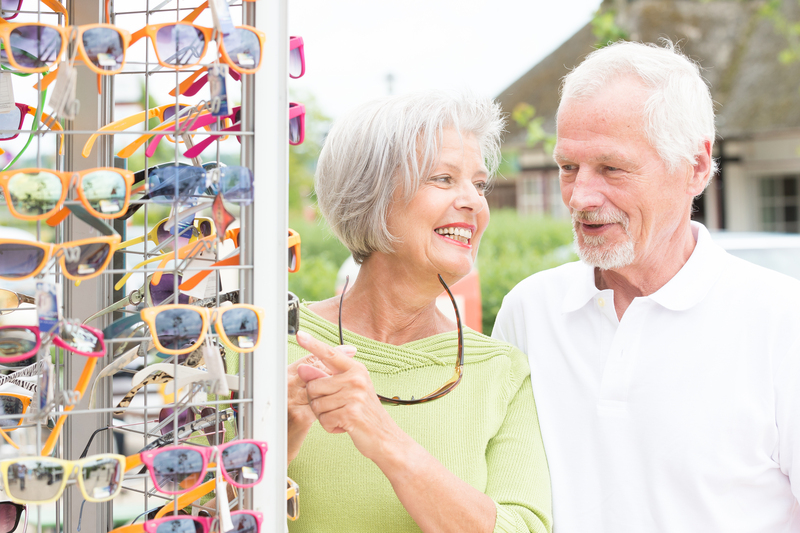 Skin’s resistance to the sun declines as you age, leaving seniors at a higher risk to UV rays. Be aware of the elements: Places in higher altitudes or those surrounded by reflective surfaces like sand, water, snow, and concrete will decrease the amount of time you can safely spend in the sun, even in shady areas. Use broad-spectrum sunscreen. This means sunscreens that can protect against UVA rays. The FDA recommends you also use sunscreens with a minimum of SPF 15 protection. Reapply sunscreen every few hours. Even if it’s labeled “water-resistant”, the FDA recommends you reapply sunscreen during the day, with the suggested dosage of one ounce per hour. Protect your eyes. UV rays also affect your eyes. Be sure to wear a hat and sunglasses to protect your sensitive eyes from the intense light, especially between the hours of 10am and 4pm, when the sun is at its’ strongest. For best results, choose wrap-around style sunglasses. Check the UV index at epa.gov. It measures UV rates on a scale and is updated daily for your zipcode. Following these simple tips may help reduce the risk of skin diseases for seniors such as dermatitis—dry, itchy, shedding, or peeling skin—and senile purpura—the purple dots which appear on one’s skin with age that are more commonly known as liver spots. These safety steps may also prevent cancerous and noncancerous skin growths as well as bacterial and parasitic infections. For other tips on senior safety, including fall prevention and home safety, visit our Common Senior Concerns resource page. outstanding post I love your blog. i would like to bookmark your blog.